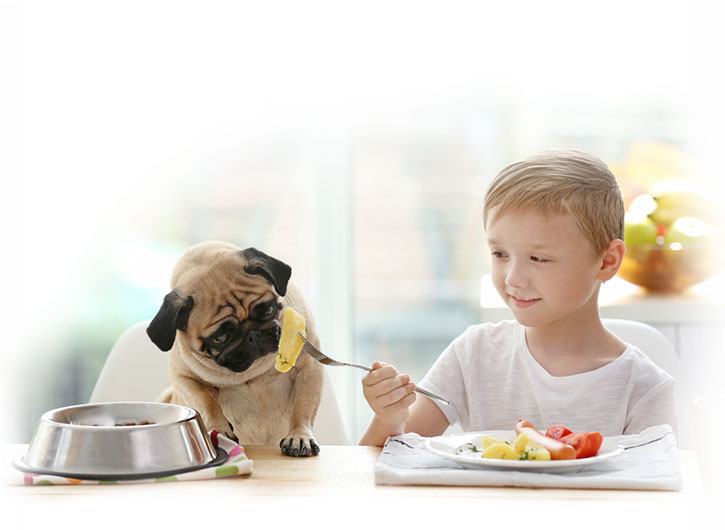 industry-leading pet foods, and to make those products accessible to pets everywhere. At PURINA®, we see industry standards as just a starting place. Not only do all our products meet these standards, but most of them go beyond the requirements to provide optimal nourishment for pets. That’s because we take pride in making sure our foods truly help pets thrive. We know that industry-leading nutrition is pointless if pets don’t enjoy eating it, and even more pointless if it’s hard to digest. It’s this standard that has driven us to become the best-in-class pet food company when it comes to nutrition that does more. We think the best ingredients are ones that aren’t just good solo players, but excellent team players as well. That’s why we don’t formulate our pet food on an ingredient by ingredient basis. Instead, we maximize the benefits of ingredients like whole grains which have been proven by long-term studies to provide a strong complement to vegetables and protein sources (like meat & fish), while also promoting digestive health. Did you know we’re a global leader in pet nutrition research? In our groundbreaking Life-Span Study, we discovered that a lifetime of proper feeding could extend a dog’s healthy years. You can be assured that our feeding guidelines take this into account, and our recommended portions are optimised for a long, healthy life. We know what it’s like to obsess over your pet’s nutrition and to wonder what kind of quality assurance goes into making sure a pet food is ready for a pet to eat. After all, most of us have pets of our own. That’s why we work hard to ensure that our products are safe for pets. •Can puppies eat adult dog food? Making sure your puppy has all the nutrition he needs is one of the most important things you can do to help him grow into a strong, healthy dog. Puppies and adult dogs have different nutritional needs, and as a result, it’s important to feed your puppy a complete and balanced food formulated for his life stage. Here’s another way to think about it. Your puppy is building the bones, teeth, organs, etc. that he’ll need for a lifetime, so you want them to be the best they can be. As with anything else, it usually requires greater resources to build something than to maintain it. So if you’re feeding your puppy an adult maintenance dog food, he may not be getting all of the essential nutrients he needs in these crucial, early months. •How can you tell if a particular food is adequate for a puppy’s needs? There are two dog food nutrient profiles that you should be aware of when choosing food for your puppy. One is “growth and reproduction” (which is the designation for a food formulated for puppies and pregnant or nursing dogs). The other is “adult maintenance” (which means that it’s formulated for adult dogs). Look at the label to ensure that you are buying a food that is right for your dog’s life stage. If the label says that the dog food inside is formulated for “all life stages,” that means it meets the standards for both growth and reproduction and adult maintenance. In other words, it’s a food that has all the nutrients your growing puppy needs, and you won’t have to switch to a new food when your puppy becomes an adult dog. •How do I switch to dog food? Whether your puppy is growing or your dog has changing dietary needs, there are many reasons puppy and dog owners consider making a change. Transitioning dog food can be safe, healthy, and relatively simple. Owners should focus on patience and planning. These two elements make the process easier for you and for your pet. Don’t be worried that you don’t know how to switch dog food. It becomes easy in a short period of time. Although you’ll be anxious to get the process started, switching dog food is a process. In order to see the difference your new food can make in your dog, please allow 7 - 10 days to ease the transition from his current food. Each day, simply feed a little less of the previous food and a little more of the new food until you’re feeding the new food exclusively. This gradual transition will help avoid unnecessary stomach upsets or dietary problems. 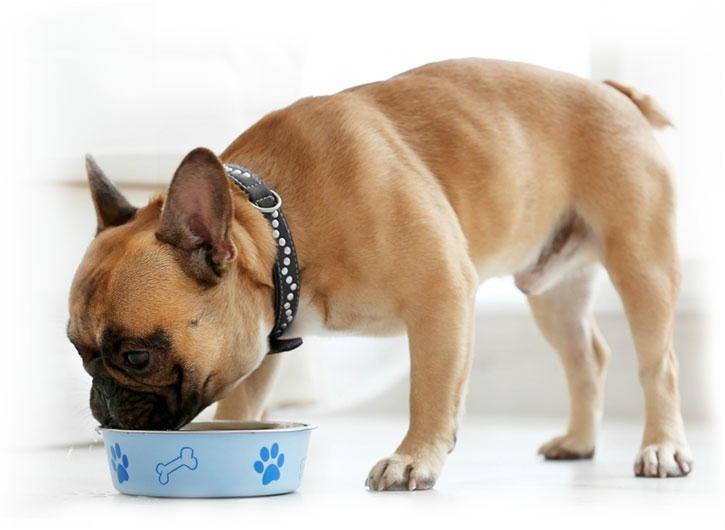 By now, transitioning dog food is part of your routine. 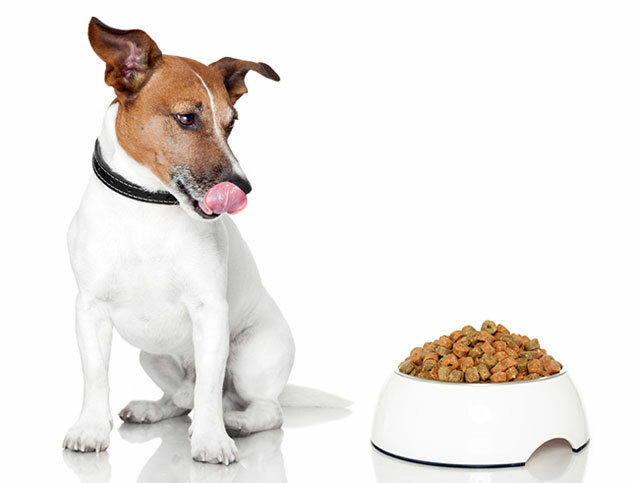 Feed a little bit more of the new food to your dog each day, while continuing to remove the equivalent amount of the current food. Continue adding in your dog's new food, and removing an equal amount of the current food. By now the new food should be making up the majority of your dog's meal. Continue increasing the amount of the new food and decreasing your dog’s former food until you are feeding the new food exclusively. 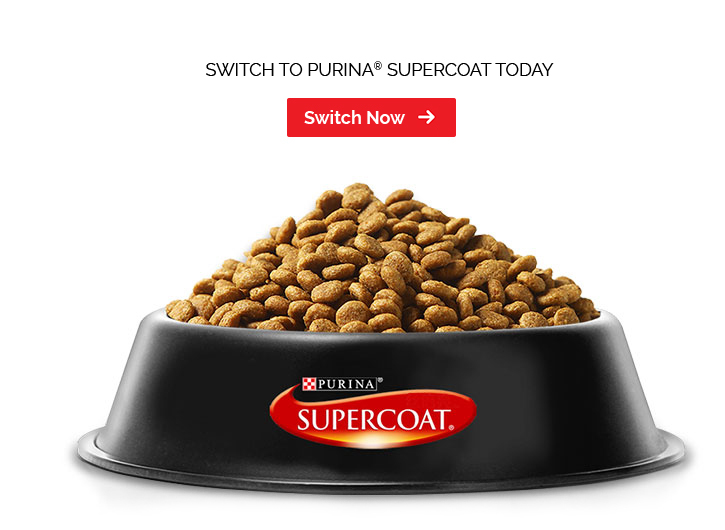 Now you’ve successfully completed switching dog food! •Are grains good for dogs? Because of our decades of nutrition research, we've seen evidence that nutritious grains like corn produce positive outcomes in dogs. Nutritious grains deliver more complete nutrition than the ingredients that brands typically use to substitute for grains, like potatoes. When it comes to the nutrients dogs need, grains deliver. They provide antioxidants, energy-rich carbohydrate and fiber to promote digestion. Grains are team players. Our long-term research has shown that grains like corn are key for helping dogs digest other nutrients in their foods. So why have grains and corn become the object of debate when it comes to giving dogs the best nutrition possible? Well, we think it's due to a couple of myths. Many people believe that dogs are allergic to grain. Here's the truth. Less than 1% of dogs are allergic. We make products formulated without grain for the less than 1% of dogs who may have sensitivity to grain. 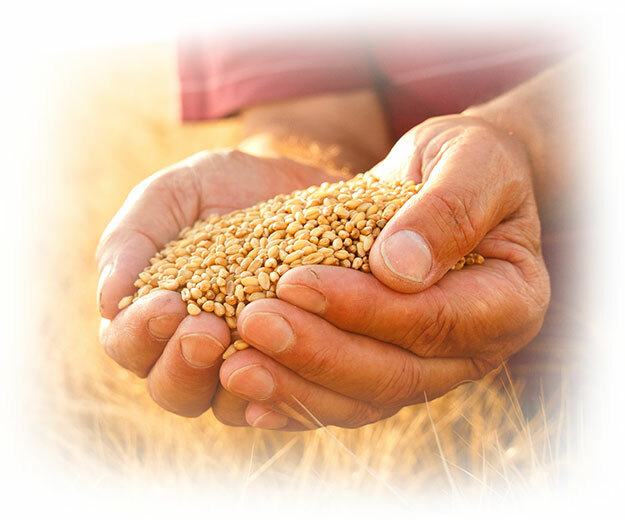 For the other 99%, we believe the responsible thing to do is provide them with the best formulations for their needs, which include grains. •Can I feed table scraps to my dog? Feeding your dog table scraps may feel like a natural way to share food with your dog, but it can be a bad idea. Table scraps should not be used as a substitute for a complete and balanced dog food. Your dog needs balanced nutrition that scraps from the table do not fully provide.